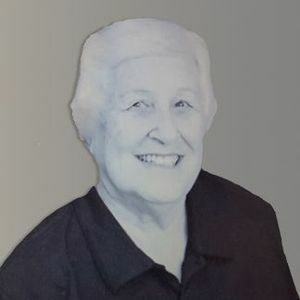 Mary Gonzalez Bauld died on Saturday, December 29, 2018. Born on August 10, 1928, in Anmoore, WV, Mary was so much to so many. She is survived by the love of her life, husband of 67 years, Nelson R. Bauld, Jr; daughter Kathleen B. Hensen (Jack) of Clemson, SC; son, Gregory M. Bauld (Denise) of Pendleton, SC; daughter Barbara B. Lewczyk (Mike) of Evans, GA; and Janet B. Coffey (Mark) of Savannah, GA, as well as 20 grandchildren and great grandchildren. The baby of her family, she was preceded in death by her parents Manuel Vega Gonzalez and Consuelo Rodriguez Gonzalez; brothers Leopoldo, Augustine, Joseph and Victor; sisters Ignacia and Consuelo; and great grandson Joseph Jackson Turner IV. Mary was a dancer, a bowler, a Tiger, a Brave. She was a believer, an optimist, a realist, a kid at heart. She was smart as a whip and spoke her mind. She was a doer who could do anything she put her mind to, and usually did just that. She had a green thumb that grew Japanese red maples, black-eyed susans and purple irises. She was a creative speller and gifted bluffer who won at Scrabble and cards. She loved one man, raised 4 children and adored 11 grandchildren and 9 great grandchildren. She was at every wedding, birth, sacramental rite, and graduation. She went to piano recitals, dance recitals, gymnastic meets, art shows, football, basketball, baseball and soccer games. She was an active supporter of those she loved. She had many names – Mary Gonzalez, Mary Bauld, Mary the Great, Your Mother, Mom, Mama, Ma, Maw, Mawl, Mall. But make no mistake – there was only one Mary … and she was amazing. A Mass of Christian Burial will be held at 10:00 a.m. on Friday, January 4, 2019, at St. Andrew Catholic Church in Clemson where she has been a member for 55 years. A reception will follow the Mass. Memorials may be made to St. Andrew Catholic Church Building Fund (209 Sloan Street, Clemson, SC 29631) or to South Carolina Botanical Garden (earmark: Canopy Walk, Children's Garden. 150 Discovery Lane, Clemson, SC 29634). 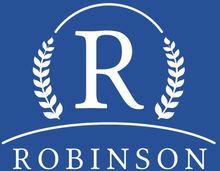 Condolences may be expressed online at www.robinsonfuneralhomes.com or at Duckett-Robinson Funeral Home, Central, SC. Your inquiry has been forwarded to Duckett-Robinson Funeral Home & Crematory.